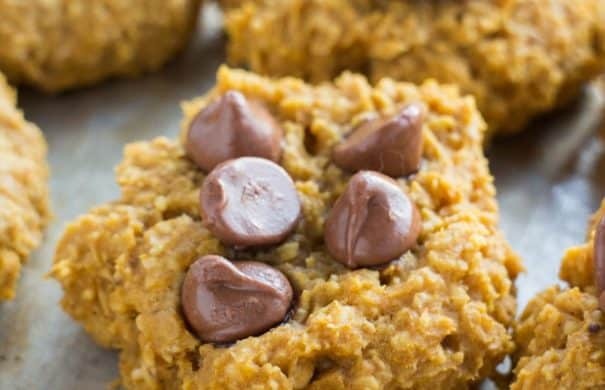 EASY to make 5 Ingredient Healthy Pumpkin Cookies recipe! 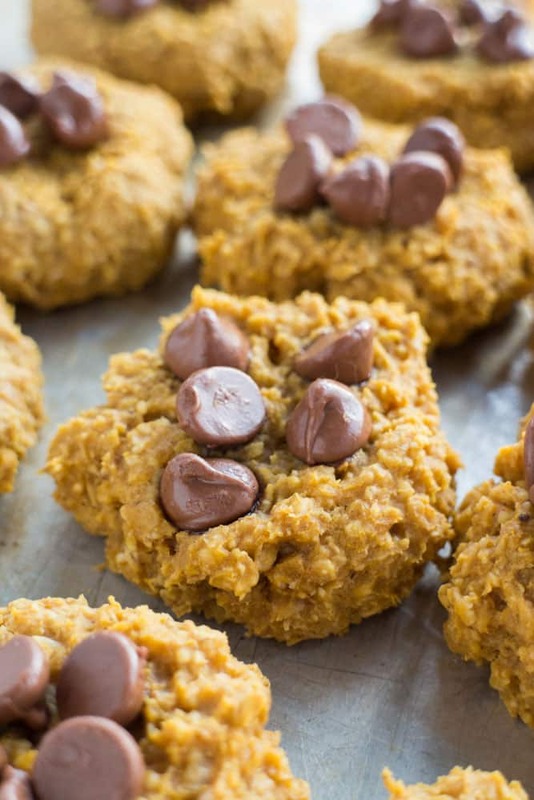 These soft Pumpkin Oatmeal Cookies are sugar free, instead using maple syrup! 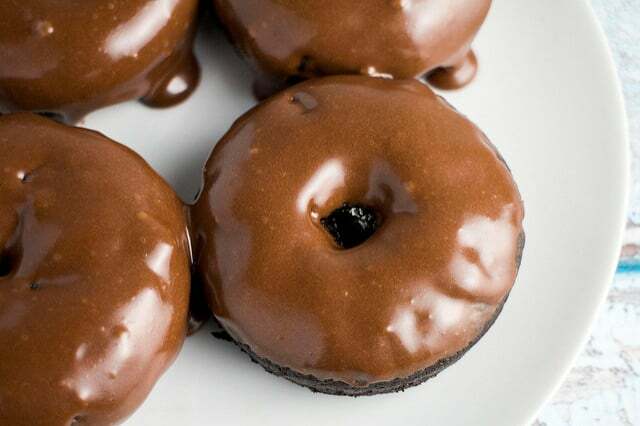 Make sure to add chocolate chips on top to make them extra delicious! Fall is the best time of the year! The chilly weather is coming in. Apple picking is thought of as a weekend exercise (hello apple waffles!). Apple Juice is a appropriate drink any time of the day. You can put skeletons in your front yard. You can have as many pumpkins in your house as you want. Fall is all about the best recipes too, that’s why I love these 5 Ingredient Sugar Free Pumpkin Cookies! With pumpkins ranging from munchkins to pie to giants in our house right now (all from the garden!) I have been baking a few at a time to preserve and enjoy the pumpkin inside of each. As we’re nearing the end of September I think it’s time we dive right into pumpkin season with a pumpkin cookie that is delicious and light on the calories. 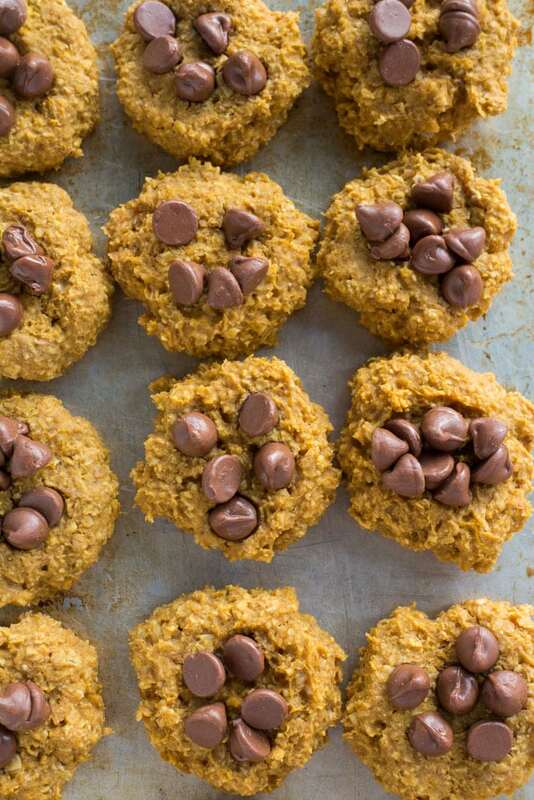 These cookies are so easy to make and only require 5 ingredients: pumpkin, quiak oats, maple syrup, peanut butter and pumpkin pie spice. They’re all healthy, simple ingredients. You’ll add your 5 ingredients to a large bowl and use a hand mixer to blend for about 30 seconds. Then you’ll form the dough into tablespoon sized balls, that you will press down to form a cookie. Bake at 350 degrees for about 15 minutes. That’s it! This simple cookie recipe makes 18 cookies!